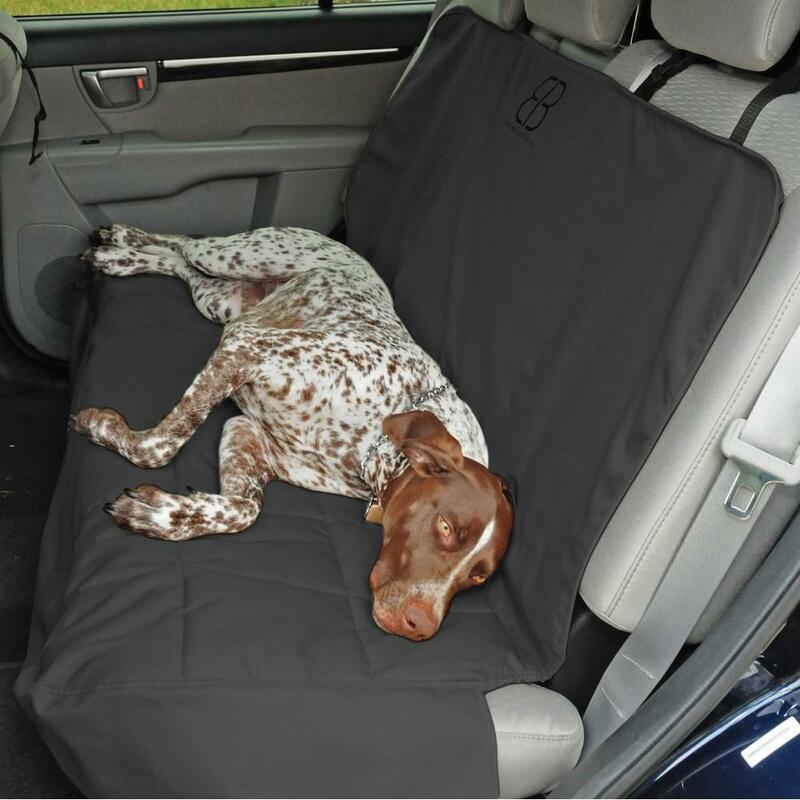 This Petego EB Car Rear Seat Protector will help keep your car protected from muddy paws and shedding fur, making transporting your favorite furry friend a breeze. These protective pads are soft and comfortable and fully cover the rear seat, measuring 52 by 48 inches to ensure a safe and secure fit. The headrest belts and non-stick backing make installing this slipcover easy and help to keep it secure and in place. Non-skid backing helps keep seat cover in place, even on bumpy drives. Made from durable poylyster canvas that is soft and comfortable but still strong enough to protect against nail and claw marks. Water resitant and fully washable, making clean up easy. Comes in nuetral colors to match your car.